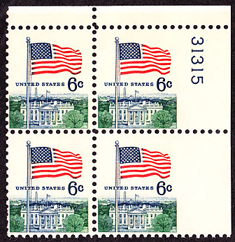 17558 VAR U.S.A. (1959) Statue of Liberty*. Scott No C58. Yvert No PA58. 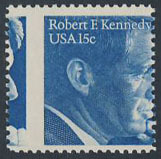 Nice perforation shift through the face value. 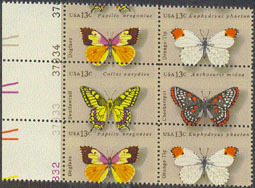 3664 VAR U.S.A. (1977) Butterflies*. 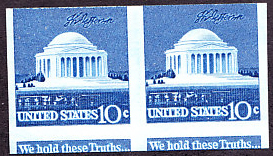 Plate number block of 6 misperforated so that the value and part of the upper stamp appears at the top instead of the bottom. 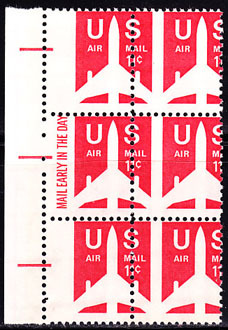 Scott Nos 1712-5, Yvert Nos 1160-3. 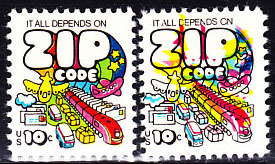 Spectacular error! 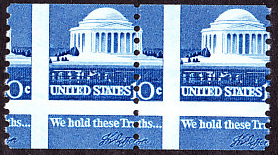 10876 VAR U.S.A. (1979) Martin Luther King* and Civil Rights Marchers*. Nobel Prize. 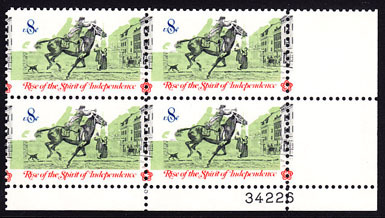 Scott No 1771. Superb color shift in pair. **.